Explore Bari at your own pace with this intriguing audio guide. 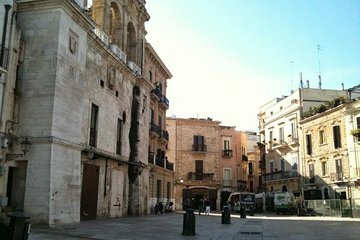 Learn about the history of Bari as you stroll past sights including Teatro Petruzzelli and Basilica Di San Nicola. The audio guide includes a downloadable map to make navigating easy. Expect to see street musicians, charming piazzas, and historic landmarks during this self-led tour. This was not a regular tour rather an Audio Tour. Firstly my wife and I had to download the audio material on a suitable media in our case, an MP3 player and Kindle Fire, and map of Bari. From the cruise port to old city was not to far but in the middle of the formatted tour. Also the old town is a little confusing and not well marked. When we began the audio it was too thorough and extensive so we simply conducted our own tour. After having spend 4 weeks in several European cities and having guided tours, next time we return to Corfu, we would opt for a guided tour with a knowledgeable guide.